A tropical disturbance near the Bahamas on Saturday afternoon is expected to gain strength and become Tropical Storm Cristobal within the next 48 hours. As the storm moves over the warm water off the Southeast coast of the United States, conditions are favorable for additional strengthening, possibly to hurricane status (sustained winds of 74 mph). 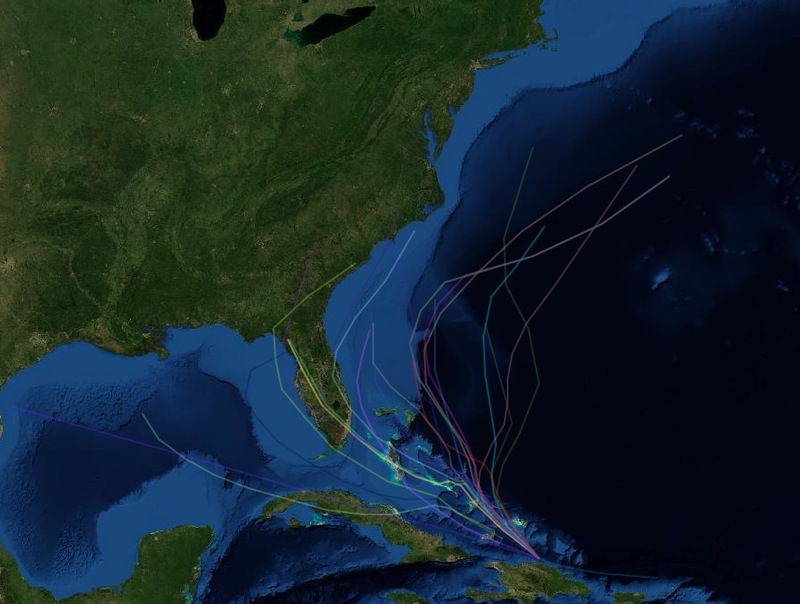 Track models still show a wide range of potential paths for what could become Cristobal. A ridge of high pressure likely would steer the storm away from Ocean City if it moved up the Atlantic Ocean. But the storm could potentially generate big surf if it passed seaward of Ocean City at the end of the coming week. Cristobal is expected to be north of the central Bahamas on Monday, then moving north near or parallel to the Southeast states through midweek. “Even if a tropical storm or hurricane were to stay east of the East Coast of the U.S., a strong system would generate swells that propagate outward that could reach the shoreline in the form of rough surf and strong rip currents during the last week of August,” Accuweather senior meteorologist Alex Sosnowski said.